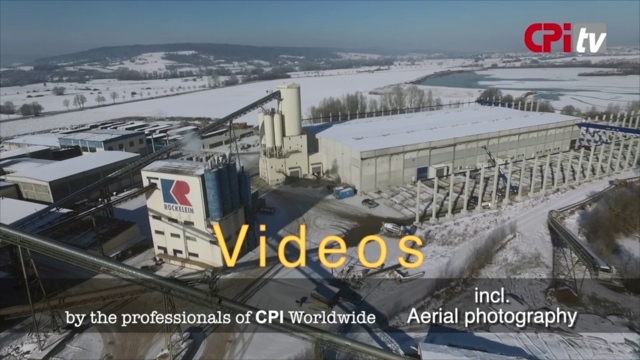 The video platform CPI-TV is the knowledge archive of the concrete and precast industry and offers free access to information from the industry, safety topics and presentations from our events for further education. Audio-visual contents are convincing, can be comprehended quickly and create a personal relationship with a company. Not only that, Google evaluates video contents preferentially in the ranking. Use these benefits for your company and present your video with us. We offer you the complete bandwidth of a modern cross-media network, from our worldwide printed issues (with QR codes) and ePapers to our homepage and the online buyer‘s guide, and from the video platform CPI-TV to our international events. Are you a partner company of the concrete industry and want to show your products / machines? We are your competent production partner. The CPI production team will produce your professional video in Full HD quality. Apart from concrete know-how, we have all the necessary equipment, even a 4K multicopter (including all permits) for aerial shots.